There are also children’s games where they can take their turn at the Caber Toss (pint-sized, of course)! Take old-fashioned pleasure in viewing the “hielan’ coos” (highland cattle) exhibition and blacksmith demonstrations all day. Participate in “the Scots vs. the Irish” tug of war competition following the Opening Ceremonies. 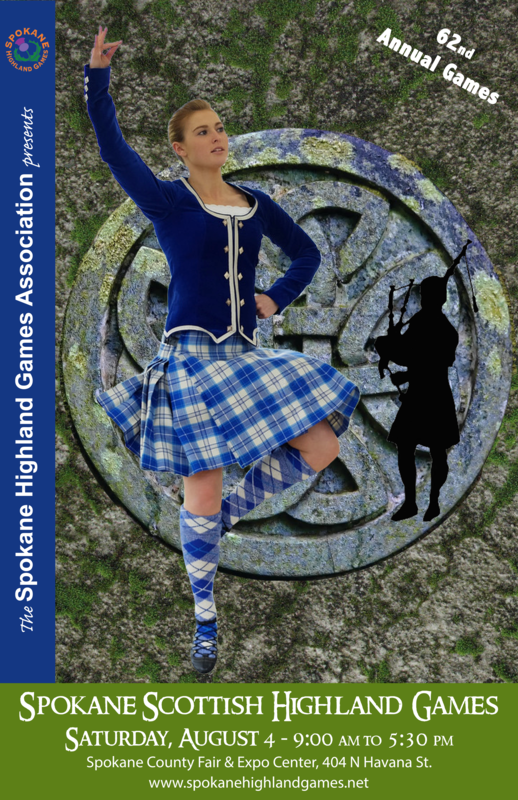 For more information on the Spokane Scottish Highland Games events and competitions, check out our Events pages. For information about sponsoring our Scottish Highland Games, please see our Sponsorship page. Click image to view T-shirt. Download a copy of the program's cover.